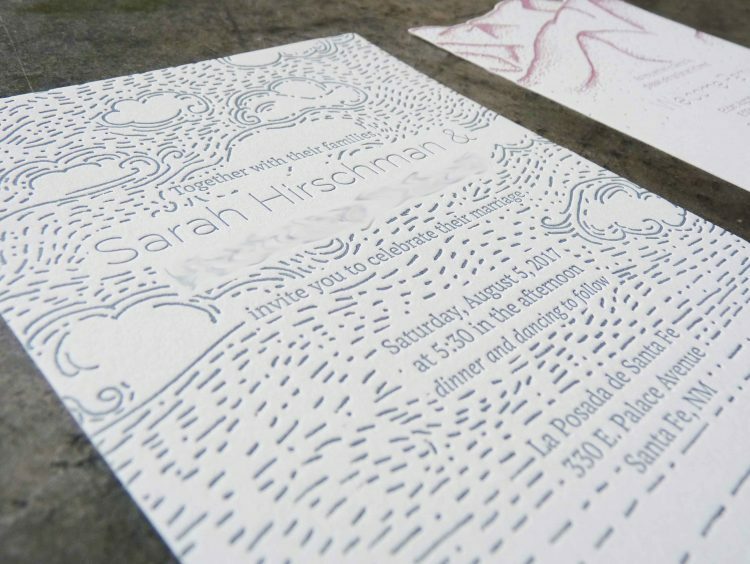 This is a great invitation we just did for a wedding in Santa Fe, NM. 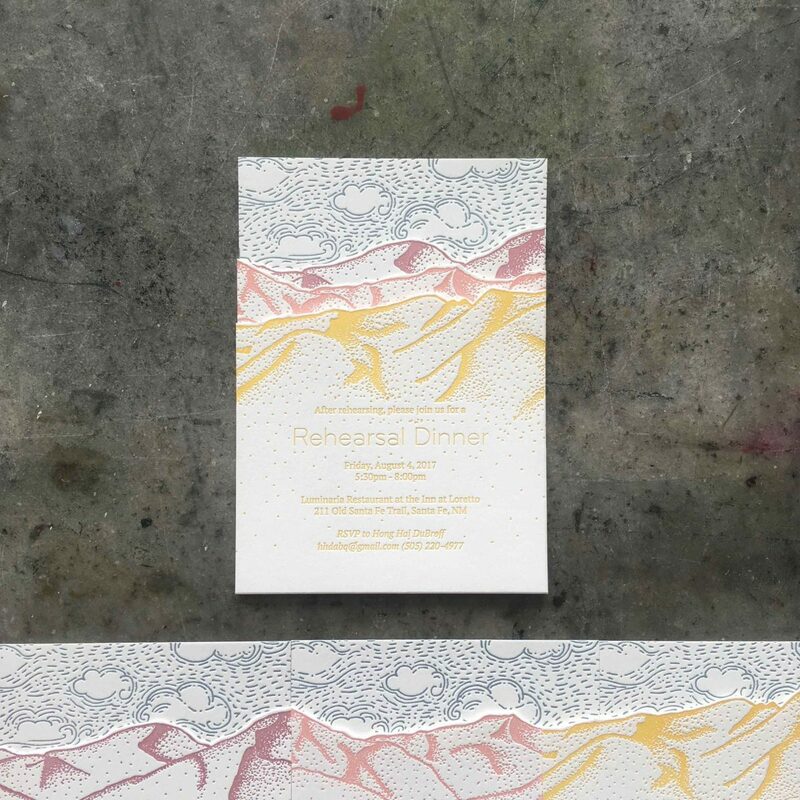 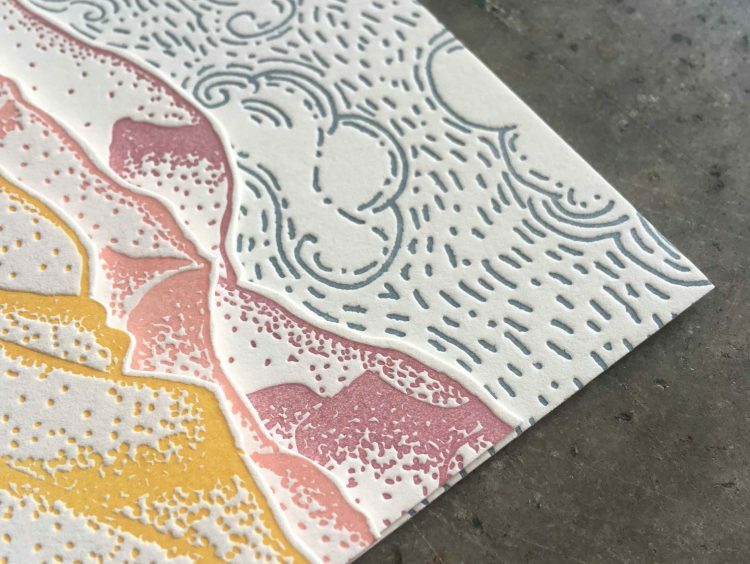 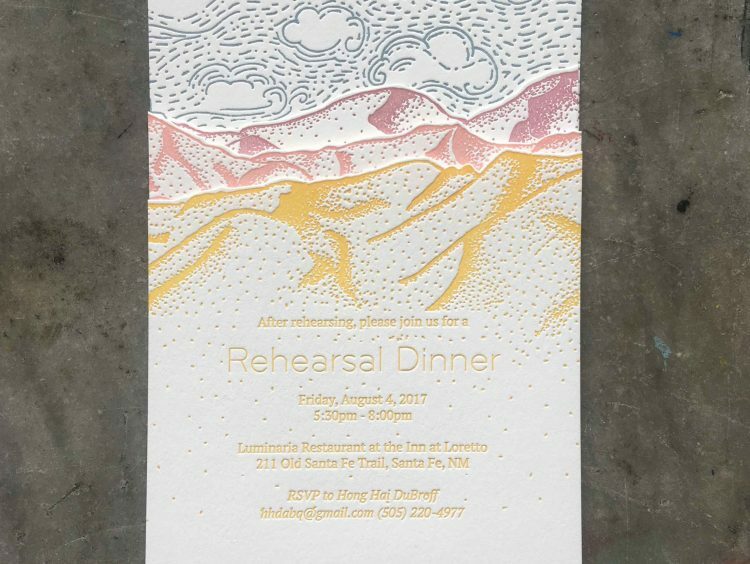 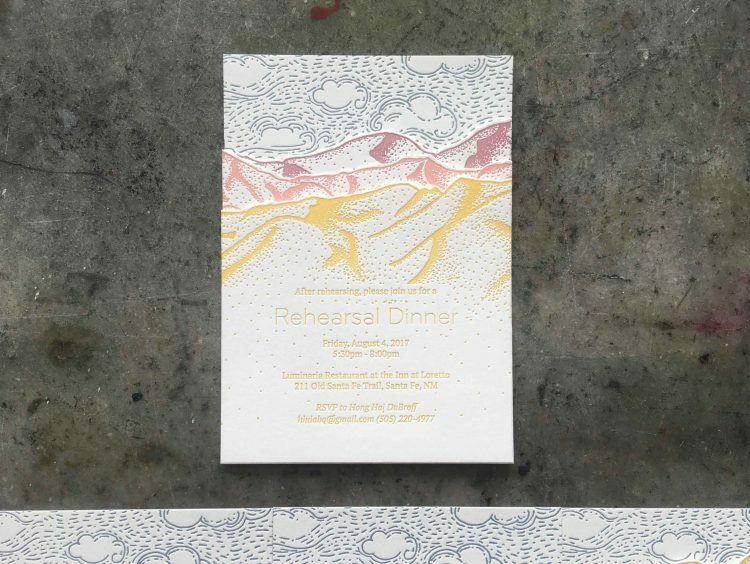 The color palette obviously evoking Southwestern landscape, the rehearsal dinner, welcome party and day-after brunch invitations layer on top of the ceremony invitation to make this 3-D landscape with big New Mexico clouds above. 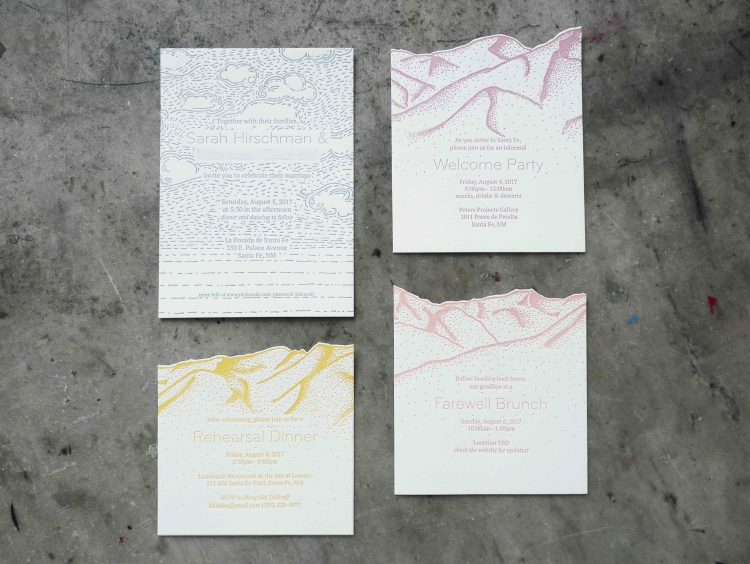 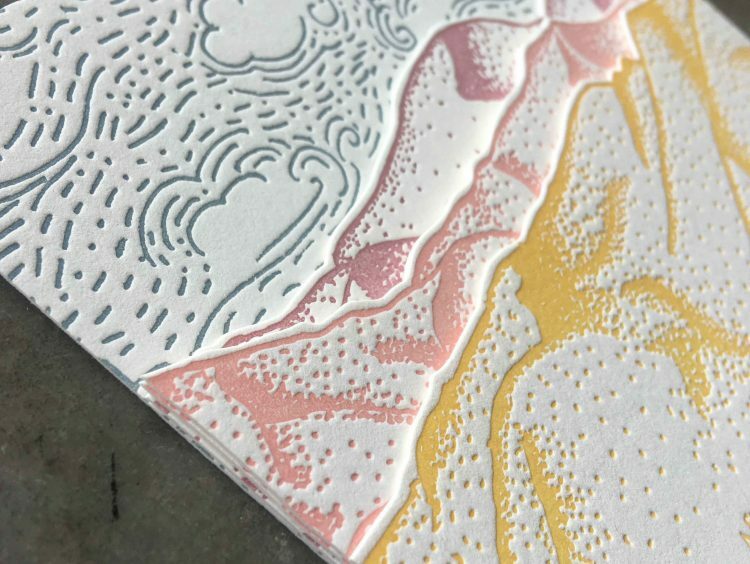 A single mountainscape drawing was variously cropped for the three layered cards, seen in the fourth picture, which were die cut to fit the shapes. 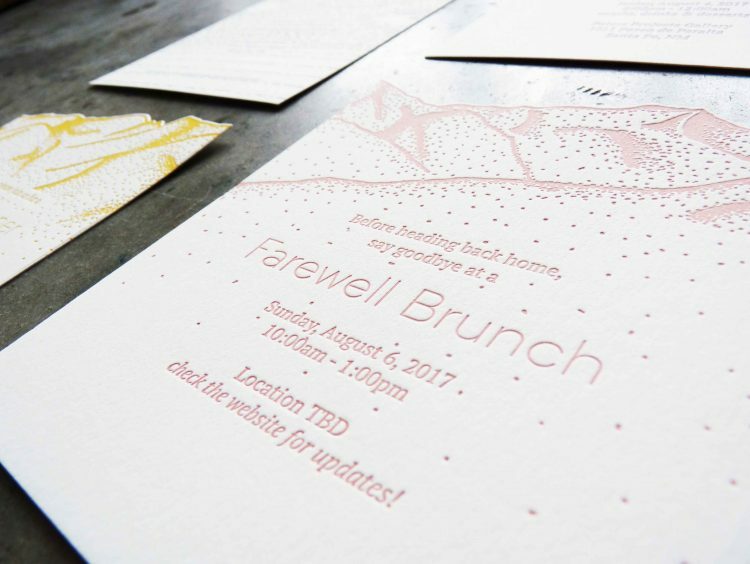 Thanks Sarah and Nick for having us do this for you!